Our historical society fields some interesting calls and emails and these two are worth sharing! 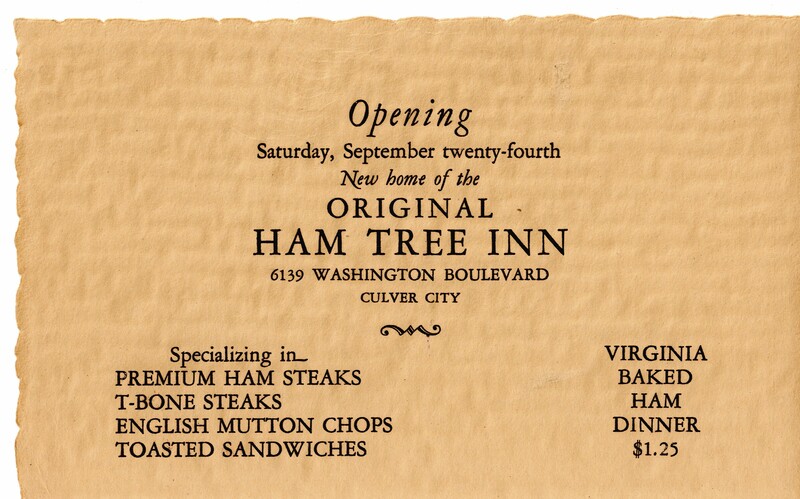 In July, an inquiry came in from a woman afar looking for information about a 1920s restaurant called “The Ham Tree Inn,” at 6139 Washington Boulevard. Her grandmother worked there as a waitress when it re-opened in the late 1920s. She had bi ts and pieces of information and a few photos including one that pictured the building with its “Ham Tree” in front. A second inquiry came in the same week from a long time Fay Avenue resident. Her mother also worked at “The Ham Tree Inn” and across the street at Chris’s Market. Historic Sites Chair, Jeanne Conklin, went to work! She spread the word, and we used local directories, which provide listings by street address as well…but we did not have access to one for that period. There were other complications. Some street addresses changed over the years, just like Main Street carried numbers in the 7000s early on—only to become the 3000s in more recent times. No luck on the first address. We used our ties with the city to check old files. People talked to people. Using the photo sent by the the woman, Jeanne and Tami Eskridge (another CCHistorical Society officer and super volunteer, who you have probably seen taking their morning walks around our fair city) headed east one day and kept searching. In the meantime, we learned it was near Fay Avenue across from Chris’s Market, which is still there. The answer was getting closer. We cruised neighborhoods, and found a building on the 8000 block of Washington Boulevard at Fay. It looked SO familiar-for good reason. Ten years ago, our Culver City Historical Society celebrated its 25th year with a historic car rally that ended at that vintage Culver City night spot. Today, it has a different name, but THAT WAS IT!!! Needless to say, there were some rewarding ties formed between the inquirers and those who helped solve this mystery! And your society is the beneficiary of some added information and vintage photos. 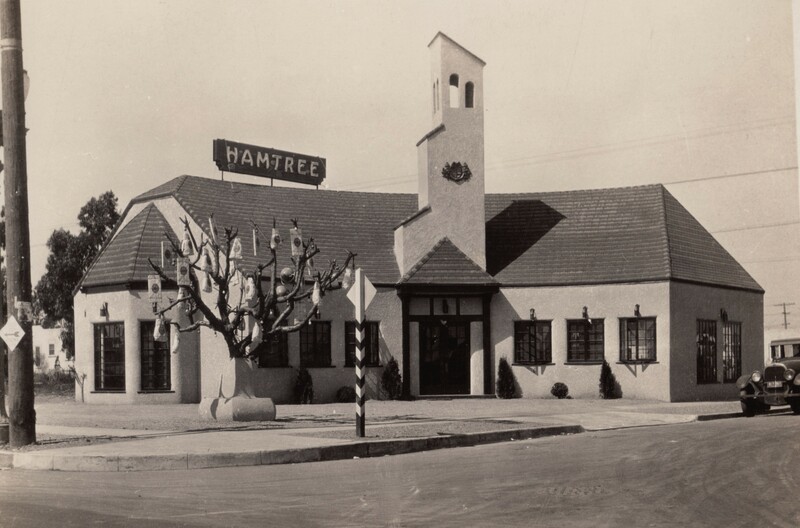 The Ham Tree Inn structure is still standing at 8641 W. Washington Boulevard and is now El Baron Re staurant & Night Club.